Ask your hosting company to advise you on the server type (software your server is using for CSR generation) for your hostname. This will be useful information to have during installation. Note: Please make sure that your hosting provider supports third-party SSL certificates! If you are using Namecheap hosting services, please review this article for help. 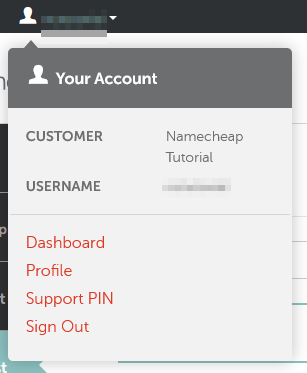 Hover your mouse over your account username in the upper left corner, then select Dashboard. Next, select Product List > SSL Certificates. Click the “Activate” button next to the certificate you wish to activate. 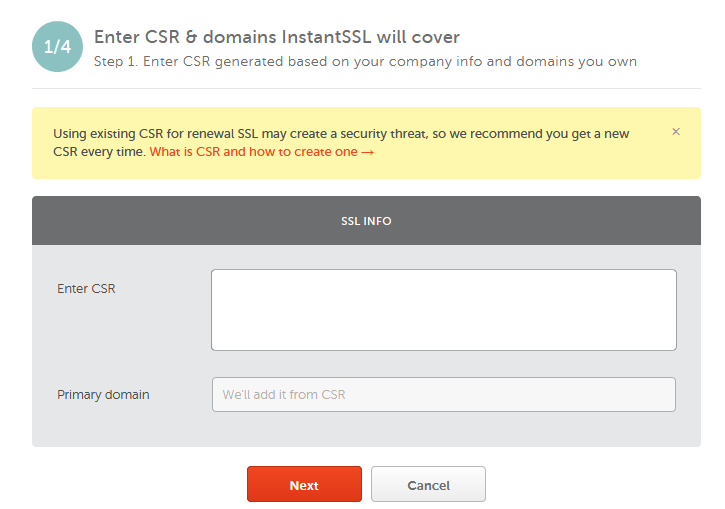 Enter (or cut-and-paste) your CSR code and choose the web server type from the drop-down menu. Once done, click Next. NOTE: In this step, if you are activating a multi-domain certificate, you need to specify the additional domains you wish to include in the issued certificate. Certificate activation process for Multi-Domain certificate is described in details here. NOTE: SSL Certificates cannot be issued for domains considered unsafe by Google Safe Browsing. All unsafe domains will automatically be removed from Multi-Domain SSL Certificates by Comodo (now Sectigo). Check Safe Browsing site status here. Be sure that the information submitted in the CSR code is correct before proceeding. 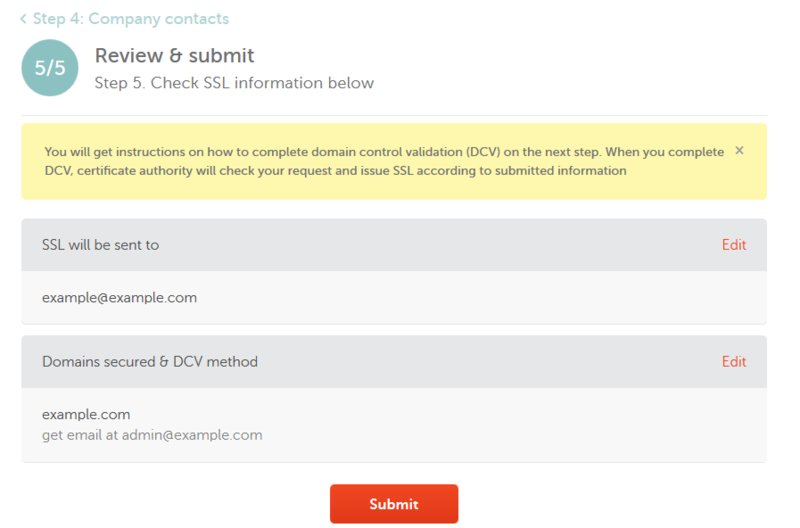 On the next page, select Email validation, HTTP-based validation or DNS-based validation as the domain control validation method from the dropdown list. 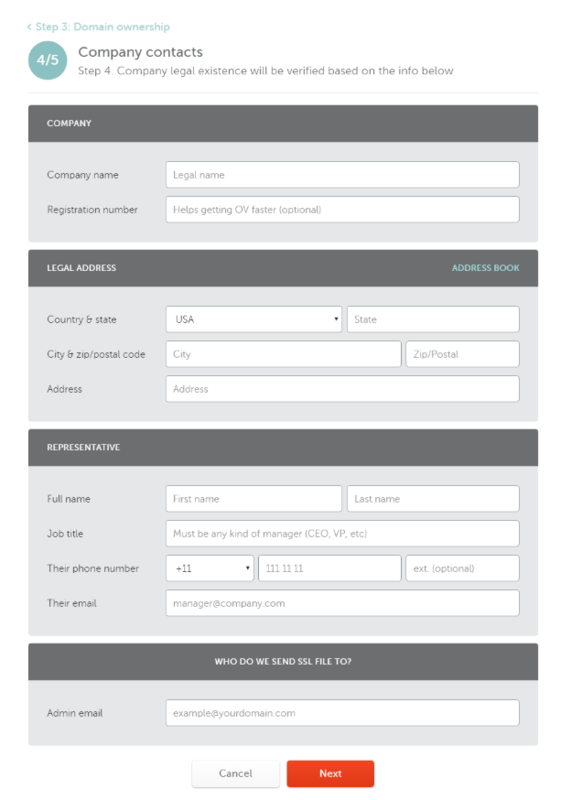 For email validation, select an email address to which the approval email will be sent. 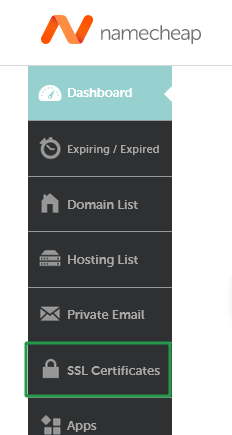 For security reasons, the approval email can only be sent to a generic email associated with the domain name (e.g., webmaster@, postmaster@, hostmaster@, administrator@, admin@, etc.) or to the registered Whois email address. For HTTP-based validation, you will need to upload a certain text file into into a particular directory of your website (/.well-known/pki-validation/)to have the certificate issued. You'll then be able to download the certificate file in your account after the order is submitted to the Certificate Authority for activation. For DNS-based validation, you need to create a special CNAME record in the DNS records for your domain. This record will be also provided after the activation. You can find more details about validation methods here. Once you have selected appropriate DCV method, click "Next". Enter email address you would like to receive SSL certificate to and proceed further. Note: administrative contact email cannot be changed later, however, issued SSL can always be downloaded from the Namecheap account. Note: “Representative” section is required only for OV certificates. Review information and submit certificate request to Comodo (now Sectigo). Once done, you will be taken to the Certificate Management page where you can view the Order ID, Certificate Authority's order ID, and other details of the certificate. By selecting "See Details," you can review certificate-related information, re-send the approval email, download the necessary file for HTTP-based validation, select a different validation method, and check the CNAME record. Confirmation emails are delivered to the approval address within 10 minutes of activation. You must confirm the issuance by clicking the link included in the approval email. The validated certificate will then be sent to the administrative email address selected during activation. HTTP-based and CNAME-based validation may take longer, as the Certificate Authority will need to locate the file or record. Please make sure that the file is publicly accessible and that there is no firewall blocking the requests behind your server. The validation system used by Certificate Authority performs automatic checks of the validation file/record over a certain period of time. If validation fails, double-check that the file/record data is correct and accessible and make any necessary edits. Once the information is correct and accessible, the file/record should be validated when the CA validation system runs its next check. Comodo (now Sectigo) OV/EV certificates will still send a domain validation email prior to the CA's document submission request. If you order an OV/EV certificate, Certificate Authority will send you a list of documents required to verify your business, depending on the type of the certificate. To expedite the certificate issuance, also make sure that the Whois for your domain contains the correct contact information. Order processing by Certification Authority may take up to an hour. If you do not receive an approval email within the specified time frame or the certificate has not been issued after one hour, and you have confirmed that the file or record is publicly accessible, please contact our SSL Support Team via live chat or ticket system for further assistance. What is an RSA key used for?